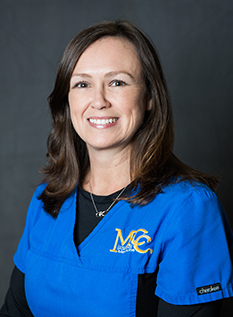 I’m Holly McPherson, X-Ray Tech at MCC Internal Medicine. I have two children…Tyler-20 and Taylor-11. I was born and raised in the middle Georgia area. I decided on healthcare as a career to make a positive impact, to touch lives, and to make a difference. At MCC Internal Medicine I draw your blood, prepare it for testing, and perform your EKG and X-Rays.